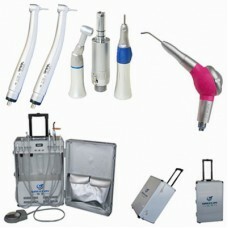 Intraoral cameras have incredible technological features. With LED lighting, a head that rotates from 0 to 90 degrees, and powerful magnifying capabilities (some cameras can zoom in up to 100x), your dentist can examine your mouth in extreme detail. This means he or she can make diagnoses more accurately. The office can attach these photos to your health record to make tracking any changes simple. Additionally, because the visuals from the intraoral camera appear on the monitor as they’re taken, your dentist can discuss your oral health with you while you both see the images or footage. Each feature that benefits the dentist also benefits the patient—maybe even more. Your dentist understands symptoms and conditions thoroughly, but it’s often difficult to explain precisely what is happening in a patient’s mouth using just a mouth mirror, which is small and hard to see, or an x-ray image, which takes time to print and doesn’t display images clearly. When your dentist uses an intraoral camera during your examination, however, you’re seeing exactly what he or she sees right then. Dentists can display clear, colorful images, allowing them to point out any issues and discuss them with you immediately. You’ll certainly learn a lot about your mouth! 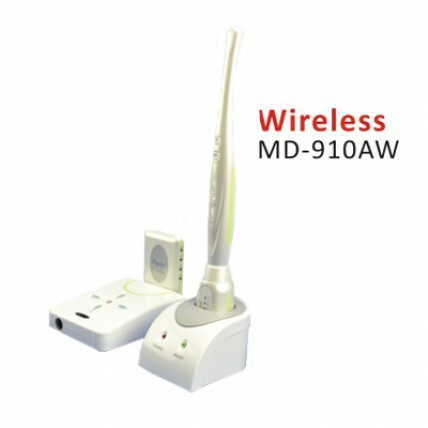 And the later you will see and understand, it can be used with the dental handpiece,too. Many offices will print or email images for their patients so you can refer to them at home look for changes yourself. Because these images are processed immediately, it saves you time.the more confident you can be when making treatment decisions.